Ever since time in memoriam, branding was the common aspect of any sort of marketing, be it barter or sale. Getting an impression in human mind is first process in branding. The impressions achieved will tune up the emotions. It will help the branding process. Before it was achieved through advertisements. Purely TV ads, news paper ads etc. Now companies can use social media networks to display their adverts. Man had always an inclination towards things happening across, making him rely on newspapers, radio, TV and so on. Now that has been replaced by Social Media websites. Internet users spend maximum time on social media networks. Websites like Facebook, YouTube, Instagram, LinkedIn, Twitter, Google+, Pinterest, etc. depending on their taste of subject and scope of the engagement. 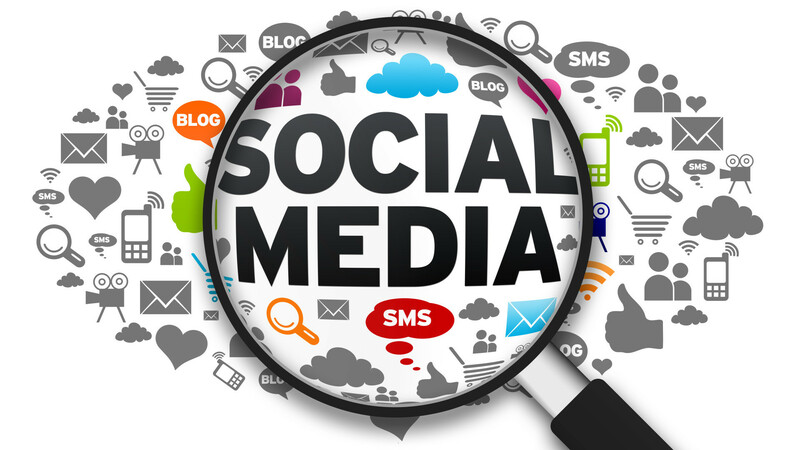 Social media became a great resource of business inquiries. Many features like interests degree of relation, trends, hashing etc. enhances more audience outreach. Moving from customization to personalization, the brands are now empowering the customers with self-service modes adding further conveniences. Many leading brands use experimentation to deliver exceptional customer experiences. If any firm is trying to reach online audience, branding through social media is the best choice. Here in this more thoughts are shared on how to brand business with social media. Grab these tips to plan, implement and measure social media promotion. Social interaction on the virtual media forums has been highly intensified due to its higher usage and preference so much so that, almost all the brands have joined these forums to broadcast their services. These are the easy podiums to produce, share and exchange ideas without any cost or restrictions soon gaining impetus among the entire crowd, ranging from laymen to top bureaucrats and eminent think-tanks of the nation. Sprouting from the desktop maturing to accommodate the mobile and even facilitating easy navigation in the form of apps. Maximum heads bowed down are found to be browsing these forums due to its accessibility, simple user-friendly layout, features and customization potential. Scientific approach: – Every person has their own psychological and emotional appeal towards their needs. He opts the service or brand that projects and treats his appeal to the best. Hence marketers have tuned their communication to cater this appeal to the best. All beliefs on the power of a doctor to diagnose an ailment and predict the future status much before the treatment starts giving a confidence for the patient to rely on the medication. It’s purely based on this consensus lying at the back of the mind that customer approaches each visual or advertorial of a product with the same psyche. People tend to search for services that relate to their necessities hence brands too are molding their tools in line with these sentiments. Alternatives satiating preferences: – Earlier customer was the king but the makers or corporate had the power to customize things and services, hence now customer are empowered with a huge collection of alternatives and greater propensity to pick and choose as per his preferences and requirements. Hence it is the need of the day to reach the customers with an appeal that touches him from inside and feeds with essential information, leading to the final purchase decision. These appeals are built on the dint of branding tools ranging from conventional methods to high-end media broadcasting at the easily accessible point. Know more to invest more: – Days of huge investment in a conventional mode of promotion were highly in vogue because 80% or a major chunk of the crowd were consuming traditional modes. But gradually the scenario has changed with disruptive migration towards social media. The prime reason being its analytical features that give exact picture of the ROI to its investors. Cost effective reachability: – Now the focus has shifted to social media as more reachability and consumption of content is happening here. Demand for innovative and informative content is more on social media creating various avenues of broadcasting. Even management focus is on social media as an analytical investment that could make their interest reach millions in no time, thereby nudging their branding scope to a larger vista. Aim and shoot: – Olden days witnessed huge investment in advertisements with least track on investment and no idea of returns whatsoever which has been well termed as spray and pray. But when it comes to social media, each person visiting each forum could be tracked. The entire journey of the customer like time, duration, and geographical location, device through which it was accessed, etc. could be attained and analyzed in detail with analytical tools available in social media forums. Social media has become a hack for the management to reach their prospective customers without spending anything on marketing or branding. This gives them ample scope to invest more on their content creation that is going to be broadcasted rather than earlier expensive conventional branding. “Get closer than ever to customers, so close that you tell them what they need well before they realize it themselves.” Steve jobs. Now the question arises, HOW? Updates of their interest to reach them in their interest zone. ~ Live chats, video chat etc. Surveys, contest, offers, and paid campaigns could also gain visibility in social media with the increase in the number of participants in such activities. These keeps the audience engaged and social media is a forum where people prefer to be engaged. The brand with which they engage the most remain in their mind for long creating a successful branding and bonding. 1st stage or awareness phase – the Incoming crowd is made aware about the products and services through various forms of content as whitepapers, webinars, infographics, e-books, Webinars, reports, commentary, opinions, expert insights, listicles, demos, blog posts, image galleries and informational videos. Among these, each projection is dealt in a specific manner according to the behavior of each forum and the crowd dwelling in it. LinkedIn has a corporate crowd who prefer a higher standard of content rather than Facebook where even the students or the lower strata of the society tend to browse through. 2nd stage or the period of consideration – when a customer envisages it as useful and moves ahead to look deeper and explore further, he already becomes a valued customer of that brand to a greater extent. But still, the possibility of backsliding still remains. Hence regular reminding through snippets, ads, small informative videos etc. are often advisable. E-books and case study are also useful making them download and retain for a longer period which would act as a reminding instrument in their records. 3rd stage- evaluation stage – wherein the customer is on the verge of purchase or consumption hence this stage calls for demonstrations thru live videos, webinars, downloadable demo videos etc., thru which he comes to know about its user-friendliness to a great extent. 4th stage is the point of consumption where the customer is convinced about the authenticity of the product and ready to consume. Hence there should not be any gated information in this stage as the customer is already on to the buying phase. Gating strategy is often used to Intelligent and strategic gating rather than making them fill the form over and over again. Intelligent and strategic gating could also be counted as an essential step towards spreading brand awareness among the populace. ~ Humour is a good ingredient in content creation for social media but in a very statistical and analytical manner. ~ Through consistent posts and share, a brand owner soon develops an idea as to which content is likely to resonate responses and a positive vibe. Hence amplify such content in a strategical manner without overdoing it. ~ More than 90% of the audience of social media prefer visuals then a content with more visual can do the magic for branding. ~ Through innovative content and strategically distribution, the brand can soon escalate its position among the industry. Videos have become an essential part of social media branding. Past days are gone as the earlier style of video broadcasting thru YouTube has changed to the exaggerated version of live and 360-degree video options. The main ingredient that creates a viral effect would range from clean entertainment, current issues, Demo videos, non-skip-able and skip-able ads, Short videos with both organic and inorganic manner of promotion both giving equal real-time results of the viewers, comments, likes etc. More than mar-comm videos, general demand is for videos that create an awakening towards a social cause, empathy for underserved, etc. such videos often raise a higher degree of empathy and inclination towards the creating brand which works out well thru social media propagation. Ad based videos are devised to include main information before 3 sec to avoid skip-able option coming up. Widespread usage of video messages have cropped up several innovations like Howcast with basic film making techniques, Vine an app to broadcast video in third-party sites also, street view app which gives an effect of virtual presence. The mission of the content should always to help with information and valuable tips that are essential for the reader or spectator for today and evermore. Content or concept of the video or content should in a way propagate the brand or service to the target audience, providing them with essential social benefits also. Content should always be open to alteration and modification on the face of positive and negative feedbacks. It should also encourage a healthy competition in the industry. ~ Every organization or individual gets involved in various events and happenings which might vary depending upon the gravity and authenticity of the occurrence. Such post often gains higher public interest giving it a viral effect in the social media channels. ~ Launch of new products or upcoming events gain momentum for branding in social media, leveraging a higher crowd toward the information about the product or service. Teaser content is often found to be great interest among the public bringing greater responses hence many products introduce such funny teasers instigating an anxiety among the common man about the service. ~ Service improvements and feedbacks are curated to bring innovations thereby elevating the product in a customized manner. ~ Hot topics which are viral among the public are boosted with valuable information like Rio Olympics 2016 with very few portals displaying the vital information about the program schedule and other details. Portal with more information gained impetus among the rest. ~ #hashtag and Buzzword trends have also become viral where each content with a particular hashtag could be shared at mass at large, which is widely used on Twitter and to some extent in Facebook and LinkedIn. ~ Many posts created for common interest and general information which are again re-posted after days in social media bringing further inclination towards the subject as well the publisher of the content or video. ~ Specific time of the day in particular social media forum are found to have higher visitors hence most of the post are placed during that time adding more viewer to the whole event. ~ Blog post are also an important part of social media with strategized header and content well distributed in different paragraphs are often share in other social media forums as snippets or only the header bringing more crowd to the blog as well as the product landing page. ~ With the advent of LIVE promotion thru social media channels like Facebook, YouTube, and Instagram are catching up at an alarming pace. Live streaming till now stands as the most effective mode of promotions. 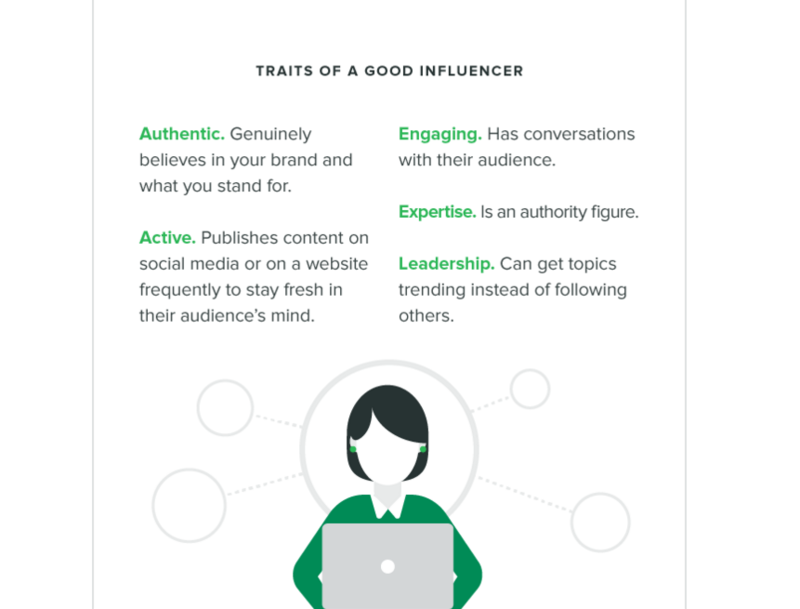 ~ Influencers has a greater say in the social media forum. One of their comment in twitter or Facebook could make that topic a big issue igniting a big discussion among the peers. ~ Consumer profiling is also gaining momentum in social media as it gives an in-depth insight to the personas of the consumers to whom the product and services have to be social or information have to be posted. Rather than diving right into the trend of creating a social media accounts, brands should analyze the forum and select the one which is apt for their business. Each social media forum has a specific behavior, style and patterns hence it’s essential to delve deep into each segment of the forum before getting started. More than 70% of Indian population are found to log-in and out of the social media forum at an interval of the day making it essential for think-tankers to invest quality time to analyze and understand which platform is perfect to boost their brand image. 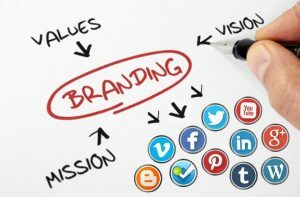 Each social media forum like Facebook, LinkedIn or twitter has a purpose for branding and lead generation which calls for a lot of literary and imagery contribution in the most artistic and innovative manner. Delving deep into each segment bring into forefront several cherished information that has elevated various brands to a niche that is worth discussing. Facebook is reported to engage the enormous number of Indian adult population making it a breeding ground for any brand to promote their services through various campaigns and quick-witted process. Facebook at work is a work account distinct from the personal Facebook account. With this work account interaction is possible among co-workers, making work all the easy and dynamic. Working on a social podium instigates higher interest towards happening in the account to making it easier for the user to know more about the brand activities. At the outset, Facebook is providing a facility making the user dwell rather than visit the podium for once. Facebook blueprint is an online training space enabling to gain certification by Facebook, giving a higher degree of user control and recognition. Facebook shopping tab has a shop section giving the provision to sell products right from the Page. Upload product information can be uploaded with no cap on numbers and varieties enabling to sell, run a promo and get insights. Instant articles is a news channel publishing and distributing articles to Facebook’s app that load and display as much as 10 times faster than the standard mobile web. Facebook mentions available exclusively for verified public figures especially for actors, musicians, journalists and other influencers to stay in touch with their followers and the people and things they care about on Facebook. Facebook live sessions videos are real-time video posts on Facebook. Periscope or OBS studio is a live video streaming app for iOS and Android ad useful for live events. LIVEPOLL is a facility to conduct a survey in a live form wherein final count decides the interest of the polling. AI or artificial intelligence has already taken its first seat as FB Chatbots enabling to given immediate responses to incoming queries and also supply pre-feed information with utmost machine-like efficiency. These amenities have enabled the companies to get closer to the management in a much affectionate manner making them more like friends rather than a corporate- customer relationship. Instagram is yet another option which could be utilized thru small informative videos and images creating a stronger influence for the preceptors. It has also introduced the live video option making it all the more demanded channel among the youth. A new option namely the Instagram stories have been enabled broadcasting small video with an auto-play option in which all shareable video moments, multiple photos in the form of videos could be aligned together for sharing. Twitter with 140 characters have almost taken a back step with a small spike here and there with some tweets becoming viral which have elements of antagonism and opposition. Hashtag # and at-the-rate @ culture initiated by twitter had become quite viral getting imbibed even in other forms of social media forums. Google is always on the top in search but other social media cannot be avoided. Active participation in Google Network thru SEM, SEO, Adsense etc. is yet another strong form prevalent in branding and marketing. 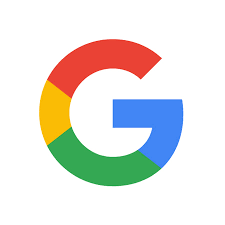 Google+ is strong social media forum owned by Google which is profusely used by bloggers and website owners to promote their brand. Google Docs is a strong and interesting tool for writers to research and generate content for branding purpose. Google account is a box full of amenities like mail, photo and document storing option, Playstore and much more. Pinterest is mainly a social media channel with major inclination towards fascinating ladies interest with board or interest for pinning that caters best with a potential to create visually impression as it enables, images, infographics etc. could be linked to the website or blog carrying all the information in detail which is a strong medium to bring customers back to the brand page. LinkedIn has been perceived to have a crowd that is far higher in standard with a potential to consume many informative and grave issues. Hence most of the post maintain an etiquette in language and content being shared as its serves a standard crowd. It is known as the best recruitment portal with the facility to get connected with the prospective candidates without any cost. Quiz, discussions, and webinars could be scheduled in LinkedIn as its a common practice among the brands disseminating information about the products and services to the participants. Top-notch professionals of the industry like CEO of a company, promote the brand from their profile thru their articles which are very informative especially for the fresher, students and first-hand information for the industry. Finally, if you operate a business-to-business company, LinkedIn is a stronger choice for promoting business-related content and connecting with other corporate influencers. Slide share is the slide hosting platform of LinkedIn a professional hub displaying infographics, presentations, videos and documents for easy reference. Renowned celebrities always leverage a crowd much more than any other modes or methods. This is the reason even conventional mode of branding uses popular celebs to reach their audiences. 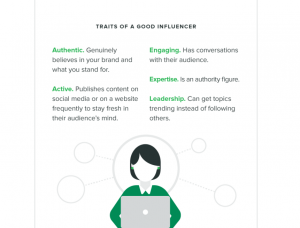 Influencers in social media equally have an irrevocable role who are often the earlier mentioned popular figures of the society and now the people who have become famous in the virtual world of social media. They have gained their iconic status by various literary or other forms of contents which had created a viral effect in the social media for long and ever since then they have been always working on similar lines for themselves as well as other. Such ones have a big effect on the content that is published. A simple mention or link to their website could make heads turn. They also tend to talk or write about a particular brand creating a viral effect for that brand in the social media as they have a higher number of followers and subscribers who will come to know about this particular brand. Such influencers are also tagged in social media while sharing content. Social media is actively forming and fostering the potential consumers through its various techniques of leveraging. Each brand behind these social media activity has the prime goal to educate and empower the users with available resources of amenities for the common good of the masses thereby creating a niche for their brand among the industry. Reckoning an escalation in social media for branding – Any blog depending on twitter as its sole distribution channel would soon be exhausted with only a few visitors or follower dropping in. But with the inclusion of more distribution channels thereby creating a network among the potential users can bring in more reader and new visitors extending the brand to a larger audience within no time. 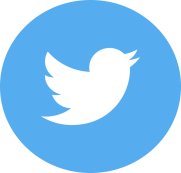 Cost effectiveness – More than 5 twitter accounts could be maintained from one IP and similarly many other social media channel could be used in this method. But active participation or consistent distribution of content might take longer time and also much longer time in content creation. Hence various automation is available for content distribution among various channels in a scheduled manner. This would not only reduce the workload but also increase efficiency without any expense. In-house team – it’s often advisable to have a skilled in-house team with original social media account rather than purchasing an account from service providers. As these are often created from single IP and an illicit activity reported from one account could block the whole IP, thereby blocking all the account being initiated from that IP. ~ Increase the visibility of your brand. 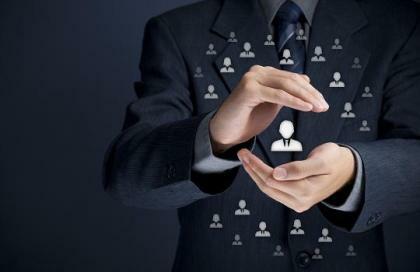 ~ Demography like the age, gender, income, education or ethnicity of the customer. , and so on. These information together help the brands to develop a perfect approach that could be often surprising and appealing for the customers. It helps in understanding each customer and his requirement to approach him according to his necessity and desires. These approaches have often have proved to be successful to a greater extent. Google analytics, Facebook Audience manager, Twitter Audience insight are some of the social media enablers that facilitate to understand the customer in-depth to cater them with their desired services. Social media is an enabler to understand the customer to a great extent. A particular customer behaves in a different manner in each social channel but his taste and preferences remain the same. For e.g. If a woman are found to click on attires promo and offer very often irrespective of channels, it’s quite obvious that she had got a deeper inclination toward clothing. Any special offers related to her taste like color, category or any other specification she can easily be lured with personalized ads, SMS, emails and also thru multichannel campaigns. This insight has developed the paid marketing to display specific ad as per the taste of the customer in a customized manner bringing higher ROI for the investors. Even the shopper saves her time from surfing in various channels and shopping portals when it’s readily available at their often browsing social media channels. Consistent research both in online and offline space is a vital part of the social media branding practices. Market analysis, industry study, latest trends, influencer talks, political and social happenings, economic and financial flux etc. are some of the research topics that each brand should be well-versed with to understand the current environment to interpret and communicate and also to drive product innovation in a much effective manner. These are some common terms exhibited in digital media which are an easy access to gain higher control over the analytics of digital space. Google trends and analytics, opting notification, subscribing to news portals, social media pages etc. can give an insight on what is upfront in the arena of the concerned business and how their competitors are strategizing their each move and plans. Hence it has become all the easier and simple affair to analyze the competitors. Higher volume data updating has made the development of automated tools capable of generating insightful actionable reports, saves time improves efficiency, know your customer, gauge ROI with utmost perfection, personalized approach, increased customer lifetime value, coordinate multichannel campaigns etc. Targeted profiling is yet another strong tool of Google creating a broad description of ideal buyers identifying their goals, hitches, engagements, location, etc. Retargeting – Retargeting is a form of online advertising that can help you keep your brand in front of bounced traffic after they leave your website. Remarketing – is a form of marketing that the customers who have purchased and now not visiting us. Giving them a glimpse or look back to their old interest or related services. Listening to customers tone and talks is an essential part of social media to understand their need and align the services in that direction. Understanding the priorities of social listening various tools like Meltwater, social studio, Gardener report, brand watch, Sysomos, social mention.com etc. which stand with the features like aggregating user generated content from across other online forums. These Social Media Analytics Software gives an upper hand to understand what customers think, understand and share about the brand among themselves. CEO and top think-tanks of the society are engrossed in disseminating information about their services through various social media forums creating a strong brand image in the industry. Earlier days of aloofness from the media mainstream has gradually been replaced by active and direct participation. In the face of criticism, such bureaucrats take it as a chance to uphold their brand among the populace in a much variant manner. ~ YouTube have witnessed a denser participation level of CEOs in their forum than earlier in the form of chat shows, interviews informative discussions etc. ~ More than half of the top management have found to have active participation in the website more than their personal accounts, as they too have understood the importance of the viral effect and the prospects of branding thru social media. ~ Blogs, LinkedIn long form opinion based contents, advertorial in various news portals, etc. are in vogue. ~ In-depth insights and foresight of products, industries, latest crisis, policy changes etc. which creates a viral effect in the social forums. ~ Direct address to the customers with latest product information, innovations, and services. Main reason behind the higher reach of these content creating rich branding experience. ~ Generally such people have a liaison with higher echelon of the society and each member of their social media forum are often found to have more members than the corporate pages. ~ Each talk or content shared by these people are taken with full confidence due to their years of exposure to a corporate world and in-depth knowledge about their field. 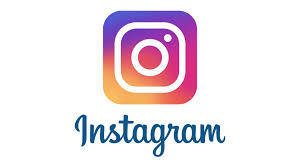 Social media is the basic mantra of branding irrespective of the field of business. Though it has some vital drawbacks but it’s worth embracing. The most interesting subject of the present era with the futuristic appeal is every man’s talk of the day. Listening and watching each and every conversation and feedback with utmost astuteness to strategize future plan to uphold brand image among the peers. Select the forum that is ideal for the brand as each brand has its own individuality and necessities. Conduct a dip-stick study and collate the necessary information to tune the branding strategies in line with contemporary norms as social media is a dynamic subject which keeps on changing, gathering no moss.